The last Prime Minister of the first Republic of Armenia, Simon Vratsian, was born in 1882, in the village of Medz Sala, near Nakhichevan-on-the-Don (today Rostov-on Don, in the northern Caucasus). He studied in the local Armenian and Russian schools, and in 1900 he was admitted in the Kevorkian Lyceum of Etchmiadzin, of which he was a brilliant graduate in 1906. By that time, he was already a member of the Armenian Revolutionary Federation. He had participated in the protests against the confiscation of the properties of the Armenian Church by the imperial regime (1903-1905), in the first Russian Revolution (1905), and in the Armenian self-defense during the Armeno-Tatar conflict of 1905-1906. He was a representative of the A.R.F. Student Union to the fourth General Assembly of the party (Vienna, 1907), which would have a decisive importance in its ideological orientation. He later went to St. Petersburg, where he studied law, agronomy, and pedagogy at the university. In 1910, when the persecution against the A.R.F. had peaked in the Russian Empire, he went to Karin (Erzerum), where Rostom, one of the founders of the party, had settled, gathering around him many experienced and promising members in order to dedicate himself to the development of Western Armenians in the country itself. Vratsian edited the A.R.F. organ Harach in Karin for a year (1910-1911), and then, by Rostom’s recommendation, he was sent to Boston, where he edited Hairenik, then a biweekly, until 1914. He returned to Karin and participated in the crucial eighth General Assembly of the A.R.F., where he was elected a member of the Bureau and left for Tiflis, in the Caucasus. There, he took the editorship of the party daily Horizon and was elected member of the Armenian National Council, which dedicated itself to the organization of the volunteer movement. After the independence of Armenia, Vratsian moved to Yerevan, where he was elected member of the Parliament and collaborated with the governments of Hovhannes Kachaznuni and Alexander Khatisian. In May 1920, when Hamo Ohanjanian became prime minister, Vratsian took the position of Minister of Labor and Agriculture, until the fall of the government in November 1920. As prime minister from November 24 to December 2, 1920, he would become the witness of the final agony of the independence after the defeat in the Armeno-Turkish war, which would force the sovietization of the country to escape destruction. He signed the agreement to transfer power to the Revolutionary Committee of the Bolsheviks, and he also became the president of the Committee of Salvation of the Homeland, which led Armenia after the rebellion of February 18, 1921. After the re-establishment of Soviet power in April 1921, Vratsian took the road of exile and settled in Paris, where in 1924 he became the editor of Droshak [Pronounced Troshag], the A.R.F. central organ, until its demise in 1933. He wrote his monumental work, The Republic of Armenia, which he published in 1928, with a second, revised edition published in 1958. He was a prolific writer on political, historical, and literary subjects, and published and edited a journal of history and culture, Vem, between 1933 and 1939. During the war, he moved to the United States, where he was one of the founders of the Armenian National Committee in 1945 and participated in the lobbying for the Armenian Cause during the founding meetings of the United Nations in San Francisco. 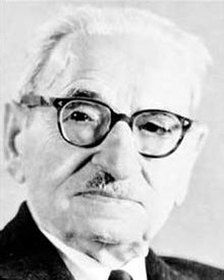 In 1952, after the death of writer Levon Shant, Vratsian succeeded him as principal of the Nshan Palandjian Lyceum of Hamazkayin in Beirut, a position that he maintained until his death. He worked actively to consolidate the economic foundations of the Lyceum and continued the publishing of books, including a revised edition of The Republic of Armenia in 1958 and his memoirs in six volumes, “On the Path of Life." He had written: “The regimes are a temporary phenomenon. The leaders are temporary. Nations and fatherlands, the people sitting in their homeland, are eternal. The freedom-loving Armenian people, which had trampled death with death, forged the independence of the fatherland. The Republic of Armenia continues to live in the heart of the Armenian people as a burning reminder of the past and a lively hope of the future.” He was far from imagining that Armenia would become an independent country less than a quarter of a century after his death in Beirut on May 21, 1969.